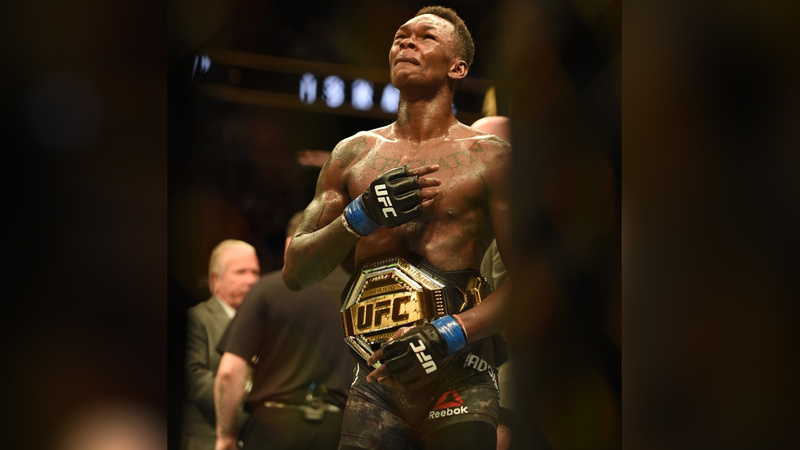 Rising sensation Israel Adesanya remained undefeated in the UFC last night (Sat., April 13, 2019) after defeating top contender Kelvin Gastelum in an epic five-round wild brawl and captured the interim middleweight belt in the co-headliner of UFC 236 from inside State Farm Arena in Atlanta, Georgia. This showdown turned out to be the best fights of the year. Adesanya made his UFC debut back in 2018, and since then he’s climbing higher and higher with no looking back. UFC head honcho Dana White only has praising words for this young stud after last night’s impressive win. “You know who (Adesanya) reminds me of? Conor McGregor,” White said at the post-fight press conference (h/t MMAWeekly). “That’s what Conor McGregor did. He came in. He stayed active. He built up a lot of notoriety. Had some great fights. People knew his name and people wanted to see him fight. White also spoke about former two-division champion Conor Mcgregor how he won everyone’s heart with his notorious personality and never turned down any fights came his way during his early days. UFC head honcho believes Adesanya has the same mindset as Irishman. That confidence will make him undisputed champion down the road. Many even compared ‘The last Stylebender’ to Jon Jones and Anderson Silva because they all posses lanky frames and carry similar fight style. “You know what Israel doesn’t say when we call him? He doesn’t say no, I’m on vacation. I’m not gonna show up and fight for a belt and then possibly get a shot at the champion, and then get pay-per-view money,” White said. Adesanya’s stock skyrocketed after last night’s win, and he’s on his way to a title unification bout against Robert Whittaker.